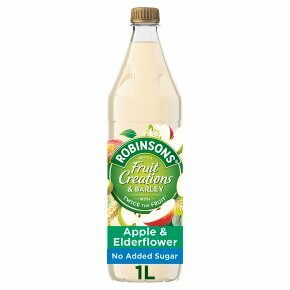 Concentrated Low Calorie Apple and Elderflower Flavoured Soft Drink with Barley and Sweeteners. Shake well to mix the fruit. Dilute 1 part concentrate with 4 parts water. It is important to add extra water if given to toddlers.